Women Enabled International accountABILITY Toolkit | Global Disability RightsNow! 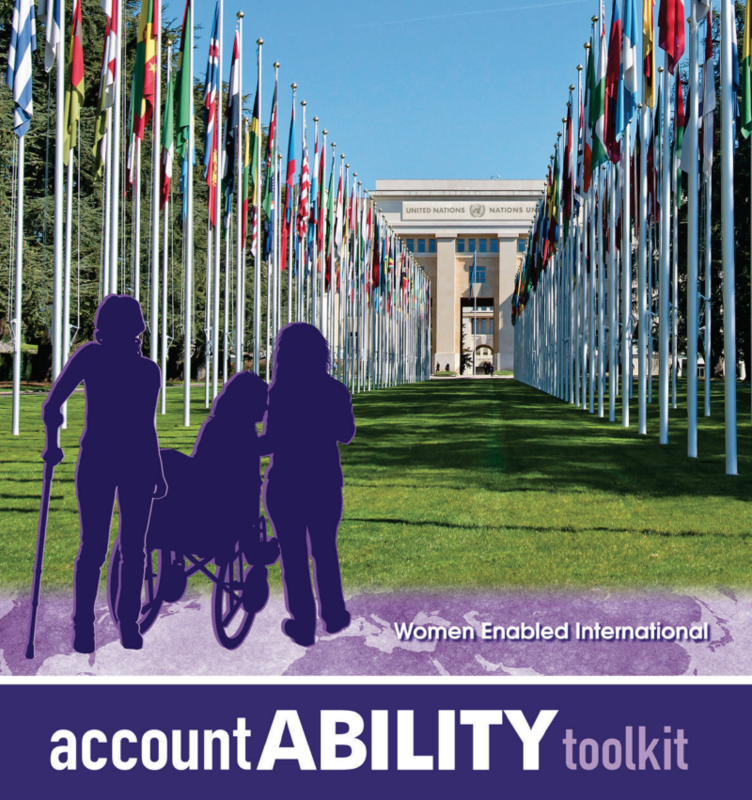 Women Enabled International’s accountABILITY Toolkit can guide women with disabilities and organizations working on their behalf in using available UN human rights mechanisms to protect their human rights. Bringing the voices and experiences of women and girls with disabilities to the UN human rights system is essential in holding States accountable for their human rights obligations and in advancing the rights of women and girls with disabilities worldwide. The toolkit, which consists of a series of briefing papers and fact sheets, is available in English. The first briefing paper in the toolkit is also available in Spanish; further Spanish translations of the other materials in the toolkit are forthcoming. The toolkit was created by Women Enabled International (WEI), which works to advance the human rights of women and girls worldwide with an emphasis on women and girls with disabilities. It collaborates with organizations of women with disabilities and with women's rights organizations globally. For International Women's Day on March 8, 2016, WEI released its Global Map of Advocates for the Rights of Women and Girls with Disabilities. The map identifies the locations of women's disabilty rights advocates and organizations across the globe. Since its release, more than 620 organizations have been represented on the map, with focuses that range from human rights to academia and funding. Advocates are organized by country on the map. Clicking on a purple point will expand a list of all organizations and their websites that are located within that country. WEI aims to provide this tool as a way to connect advocates of women and disability rights around the world. As of March 2018, WEI's map is still active. Organizations and advocates can be added to the map by contacting WEI at info@WomenEnabled.org.